Thinking 1440: Gears of War 3 LEAKED!!!! The much anticipated Gears of War 3 has been leaked! It hit the "scene" not long ago for "jtagged" Xbox 360's. If you're not familiar with what a "jtag" is consider it like the hack for the original Xbox where you could play any game you wanted off the hard drive, no need to burn Dual-layer discs! 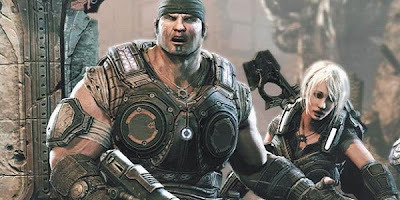 Unfortunately, I do not have a jtagged xbox so if you have one, and you played Gears of war 3 please leave a comment.